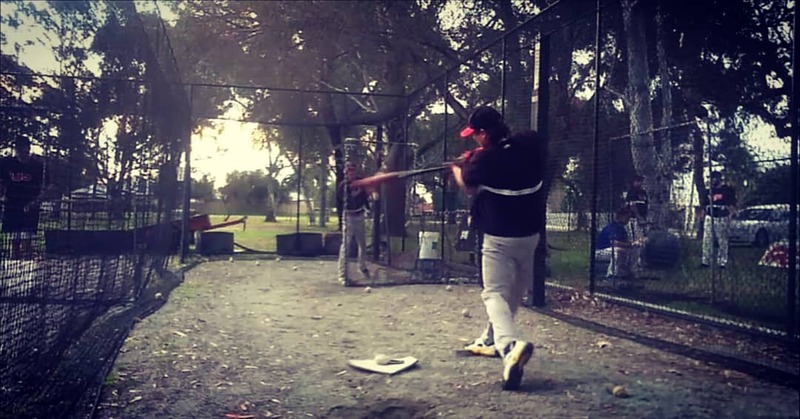 34 inch + weighted heavy training bat. 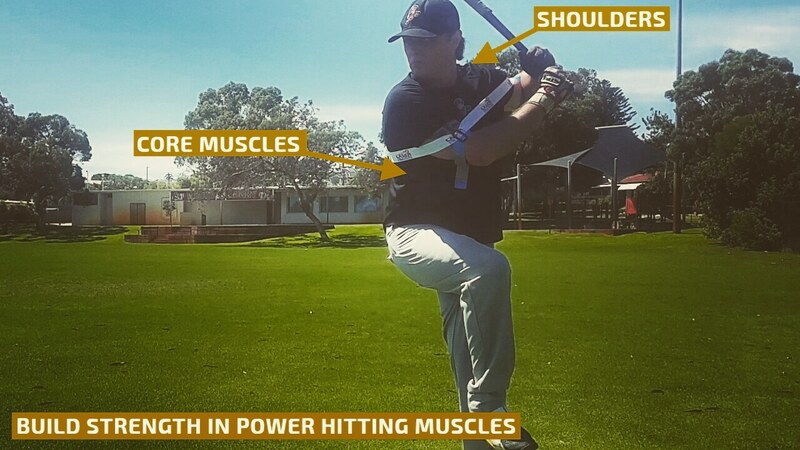 Our power hitting aid keeps your back elbow connected to your hips, to prevent reaching and keeping your hands inside the baseball (short swing). 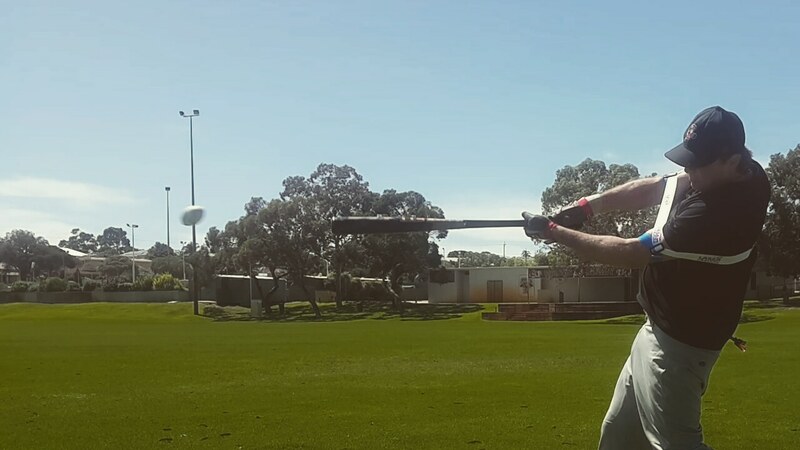 Use your hips and stay connected with your swing. You have to use your hips to make solid contact. 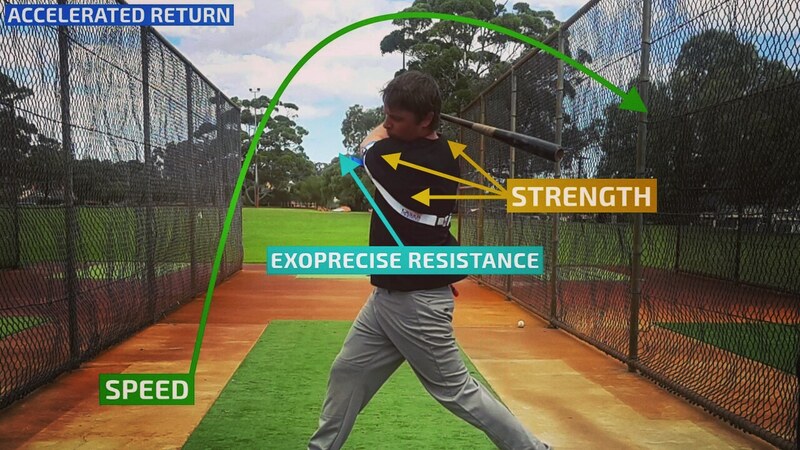 Setting resistance to high; you’re limiting the influence of your arms and isolating the “blast” stage of your swing. Don’t try to pull the ball, let it happen naturally. 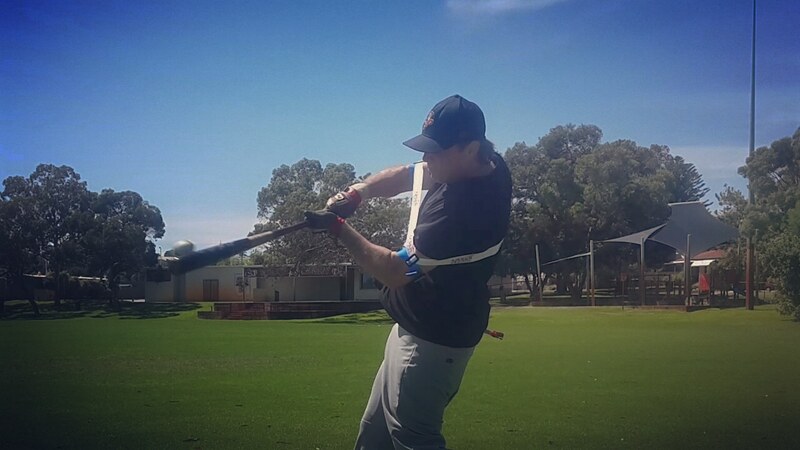 If you try to pull the ball you will either; hook it foul with top-spin, pop-up or fail to make contact. 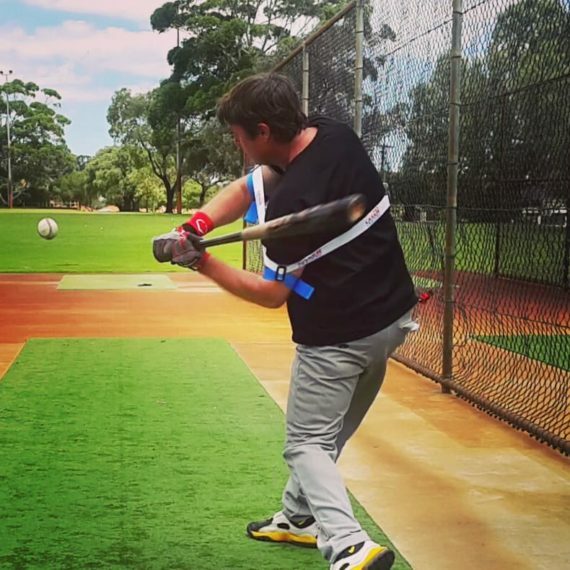 The Laser Power Swing Trainer guides you to bat speed and mechanics to hit this pitch. Pulling the ball with backspin, straight down the line, for a home run. Laser Blast Drills: You can decide to reduce resistance and work on mid-range and extended contact zones. 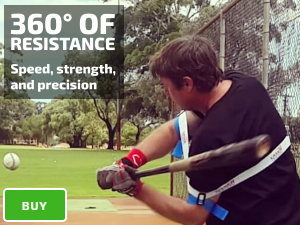 Note the product used in this video is our original, model; Laser Power Swing Trainer. Replaced by the current model.